Since first taking my daughter long haul to New York when she was 18 months old, I knew I was gearing up to ‘the big one’. 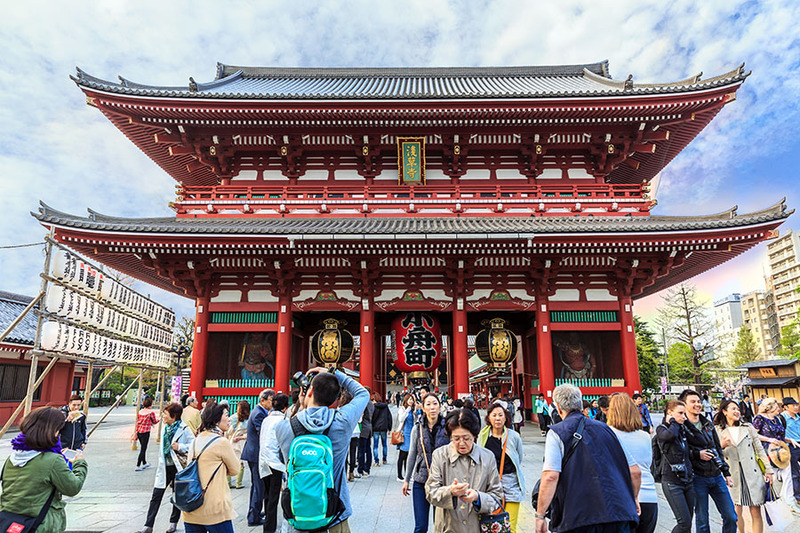 So last May, we branched out of our comfort zones and she had the opportunity to experience Asia for the first time. And I got finally return to the continent I fell in love with 12 years ago as a first-time backpacker. It took a while to commit – I’m not usually a worrier but I couldn't help but feel anxious as to how I would cope with it all given she would be under 3 at the time. But inspired by reading up on family travel blogs and hearing from friends and colleagues how a trip to Bali with children was actually pretty do-able, I bit the bullet. We reserved our seats on a three and a half week jaunt around Bali, flying out in the perfectly timed month of May where the weather is warm, the rain minimal and the crowds few, it is considered shoulder season before peak hits (during July and August). Packing was the first hurdle; our belongings needed to be manoeuvrable with hands free so I could catch her before she escaped too far! I made a very adult purchase (a suitcase) which I must say I wish I’d done years ago as it was brilliant. I chucked all of our stuff in which left us with a rucksack each for the plane, a buggy (for evening naps or any places that may have suitable enough pavements) and a sling (for any trekking I might want to do). I suddenly found myself wondering what on earth I’d carried on previous trips as our entire case seemed to consist solely of snacks, clothes, nappies, more snacks and colouring books – and of course THE TABLET! My lifesaver and what was to become my daughter’s best friend. So bags packed and hands free, we took a cab to Heathrow and the adventure began. I planned the entire route so that I did not have to worry in-situ about booking suitable hotels, finding a travel cot, the time for boat transfers etc. Whilst I am a backpacker at heart, I wanted to make my life as easy as possible so I pre-booked all hotels and transfers with a private driver and baby seat. It gave me real peace of mind and meant I could focus solely on keeping us happy and relaxed rather than worrying about where we were going next or how we would get there. There’s room for that kind of travel, but not on this trip! We set off in typical fashion (she ran through Terminal 4, with her pants around her ankles laughing her head off as I chased along behind). The flight to Kuala Lumpur with Malaysia Airlines was a dream, better than I could have imagined. She was plied with snacks and movies and then slept for a few hours before we landed and had a night at the Sama-Sama Airport Hotel (recommend to me by my colleague Laura who’d stayed here with her family en route to Cambodia the month before) before the connecting flight to Bali the next afternoon. It broke the journey up and was definitely a wise move as despite being so great onboard, the journey was exhausting for her. The hotel is a 15 minute walk or a buggy ride from the terminal, so it’s incredibly convenient, especially if you have kids and want to break the flight. We spent the first few days relaxing into Balinese life in a villa at Jimbaran. I chose the beach here because it’s great for kids – a wide, sweeping golden bay with gentle waves that are ideal for little ones. The BBQ seafood restaurants along the beach were the perfect spot to end the day at – beer in hand, sand underfoot and a stunning sunset to admire. We had a pool at our villa and they had a pool fence set up for us for peace of mind (added at no cost – it’s a common request in Bali as so many holidaying Australian families request them). It was a gentle introduction to Asia as we fell into a simple rhythm of breakfast, beach, lunch, nap, pool and dinner. Happy travellers that did make! 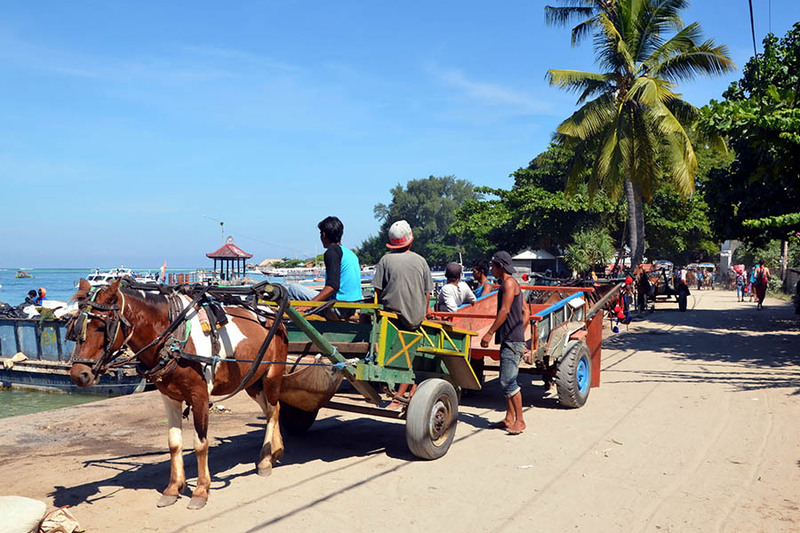 Aside from the beach and a temple and market, the area is quiet – it’s close to the bigger beach resorts of Kuta, Legion and Seminyak so shuttle buses operate to those who want them but we chose to stay put, keeping away from the crowds. After a few days it was time to leave our ‘first Bali house’ and move to ‘Bali house number 2’. As I had a few stops planned I kept talking about the moving so it didn’t come as too much of a surprise and it worked well as she was so adaptable. There were of course the age appropriate tantrums – most days to be honest – but despite the heat, the unfamiliar surroundings, the strange food and new experiences she took to it like a duck to water and I was so proud. Next stop was one of my most favourite places to date; the Sanak Retreat in the north of Bali in a town called Munduk. Just 45 minutes from coastal Lovina, Munduk is a paradise for those who love peace, tranquility, nature and trekking. The Retreat itself is just 12 units with an emphasis on understated comfort. Set up by French philanthropists, what they’ve achieved with the locals who run the place is quite something. There is local artwork for sale in each bungalow, all have balconies that catch either sunrise or sunset (some both! ), the infinity pool looks out over rice paddies and each day they offer something lovely to take part in or watch. You could watch a dance by local villagers, go kite flying, or take a walk. They have a great kid’s playroom and TV area with a cool breeze that blows through, plus a lovely restaurant and activities to book including guided hikes, waterfall excursions and cookery courses. There is also a spa for some indulgent relaxation – a must in Bali, the prices are unbelievable for the quality service that you get. We spent several more nights here and made the most of both the serenity of the place and the beauty of the local area. We chose to take a couple of days where we did not much more than swimming and eating (such a delight when life is so non-stop usually) and then finally we got up early to hike through the paddies and spot chickens and dogs, local fruit and spices and villagers before the heat of the day was upon us. And eventually we left the resort for a day trip to nearby Tamblingan Lake and the Munduk waterfall – so lush and beautiful! Next stop was the bustling centre of Ubud, known for its yoga, monkeys, countryside walks and shopping. It was a shock to the system to be in such a touristy spot after the sleepy hills of the north! We had booked a villa with a small pool just outside of the town, although in hindsight with a child I would probably stay in town as it’s easier to walk everywhere rather than rely on shuttles. The food options here are great – I absolutely loved the Balinese food but my daughter sadly wasn’t so adventurous. She mostly ate rice, fish, bananas and chocolate ice cream for the entire trip which was much to my disappointment! I however, devoured Nasi Goreng (rice), Chicken Satay, grilled fish, Gado Gado (national dish of vegetables) and Soto Ayam (chicken soup). Indonesian food is very tasty and Ubud especially had a bustling food scene with lots of international options of an excellent standard. After a couple of hectic days in Ubud, it was back to the coast for a stop in sleepy Sanur. I had heard this was another good place for families because of its quieter vibe and it definitely suited us in that respect. The main street has plenty of eating options and the beach was OK, but we spent most of our time in the pool as it was more convenient. There is a great bookshop which is good if you need any new kids distraction material (or if you have the luxury of finishing a book and need another!) and they have a night-time food market which is fun to explore. I also took us for a manicure (there are salons everywhere!) which isn’t my usual style but we both enjoyed a pamper for a couple of hours during the hottest part of the day. The boat to our final destination departed from the port Sanur, so we set off to indulge in some island time on Nusa Lembongan. This tiny island is a 30 minute boat crossing from Sanur and makes up part of the journey across to the famous Gili Islands off the coast of Lombok. Not quite ready to conquer a longer, choppier boat journey with the little one we made laid-back Lembongan our home and I’m so glad we did. I’d actually made quite a risky choice with our accommodation for the last week and on arrival, it didn’t work out. Instead I checked us in down the beach at another guesthouse which had all the facilities we needed; comfortable bungalows, a pool, a restaurant and some puppies running around! The island of Nusa Lembongan is essentially a surfer’s paradise so everyone there is out surfing by day and relaxing with a beer in the evening. It’s not a party island by any stretch so it was perfect for us – we spent hours in the pool every day and I even managed my one goal of the trip which was to swim with the Manta Rays! We took in the sights of the island (it’s small, it took a morning!) and crossed the big yellow bridge to neighbouring Ceningan. The coastline by Devils Tear is stunning and I really enjoyed the crashing waves at that lookout – the kind of raw nature that makes you smile and feel alive. I was sad to leave, but Lembongan really did get us into the pace of life that Bali guarantees; slow and smiling. The people we encountered throughout were without fail so happy and kind, it was heart-warming to be around. The challenges of travelling solo with a toddler (of which there were many) were by far outweighed by the way Bali makes you feel; completely welcome, immediately relaxed and most importantly of all, lucky to be there. A life changing trip for both of us and one we won’t be forgetting in a hurry! 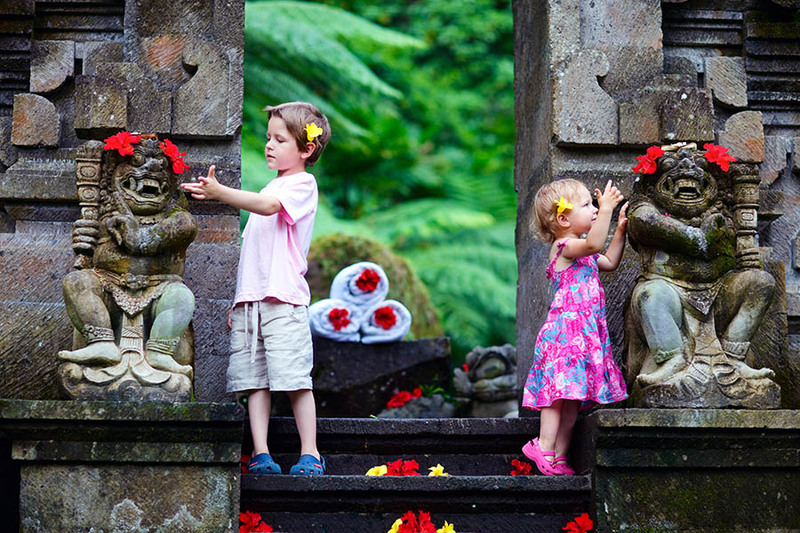 Interested in visiting Bali with children? 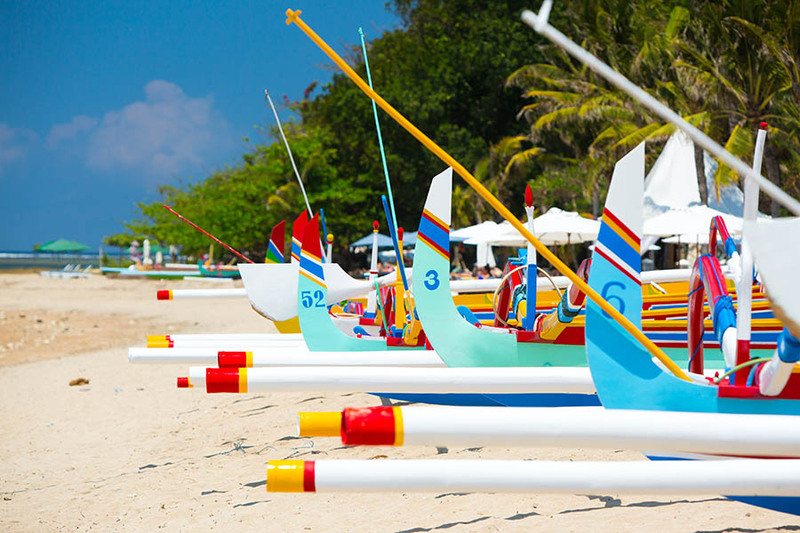 If you’re thinking about your next long haul family trip and you’re looking for a solid combination of excellent beaches, delicious food, interesting culture and wildlife and something that won’t break the bank – you have to add Bali, Indonesia to your shortlist. 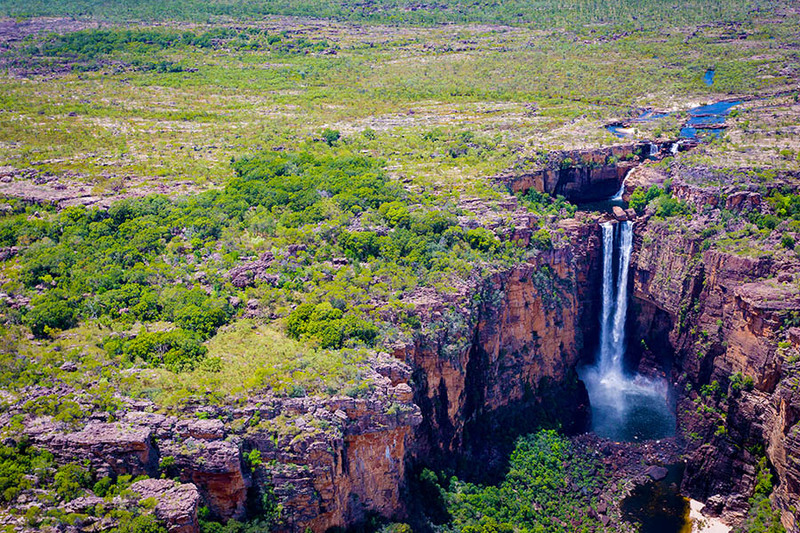 Although it can feel daunting to plan a trip like this, Travel Nation really can take the pain away. 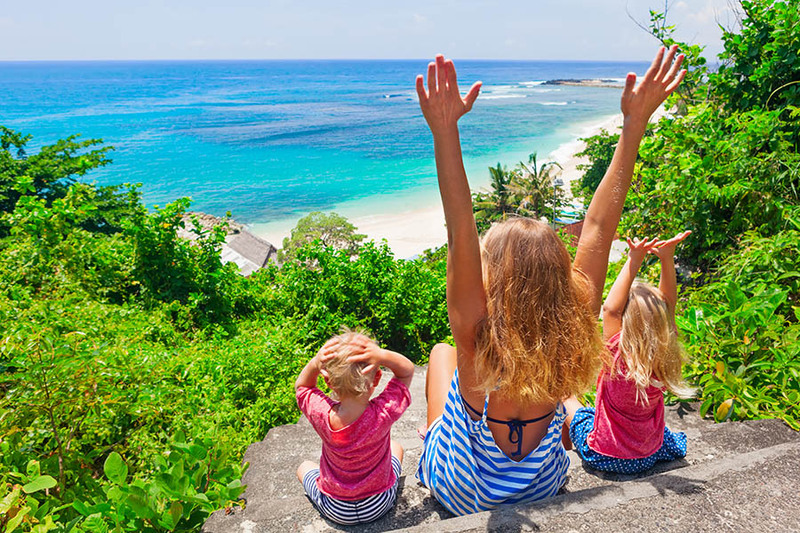 Our team is full of parents who travel extensively with their kids, so we know exactly what it takes to plan the perfect trip for kids and parents alike. Come to us with your dates, your family’s interests and a rough budget and we can craft a trip that will suit you (and your budget). We can save you some soul-destroying hours on Trip Advisor trying to work out which are the most family-friendly hotels in Bali, and we’ll find something just perfect, by working with our partners on the ground in Bali. To start planning your trip, see some of our family holiday ideas or call us on +44 1273320580 or request a quote by email.